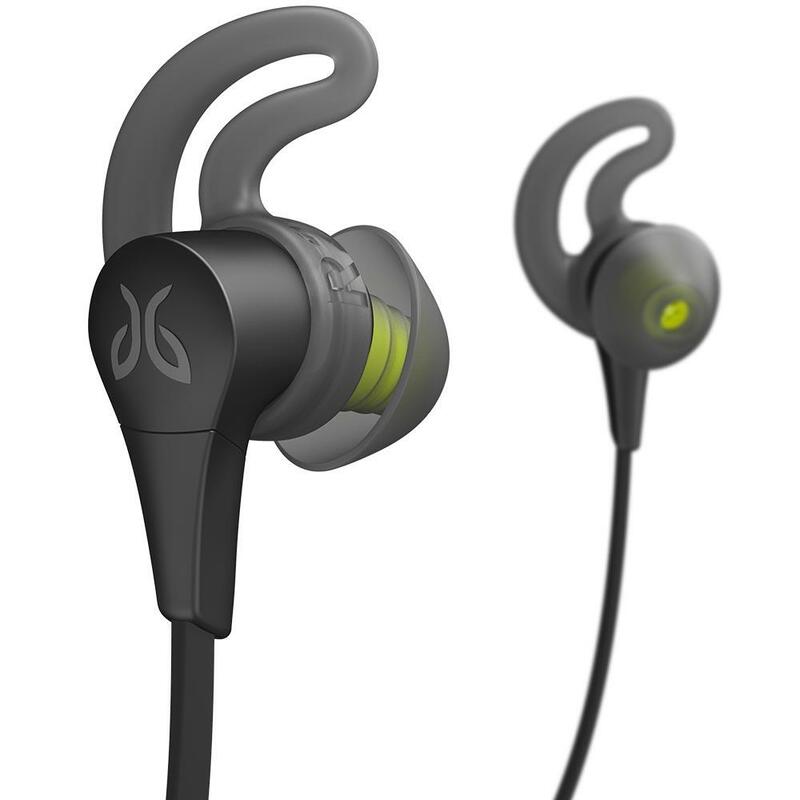 Jaybird brings you the most comfortable, durable and long-lasting running headphones on the market that you won’t want to take off. Try the Bose SoundSport Free for the sound quality of expensive over-the-ear headphones but in the size perfect for your workouts. The Beats by Dre Powerbeats3 brings you the quality sound you love for up to 10 hours long, so you can workout and jam all day. A solid pair of running headphones that can accurately check your pulse with it’s integrated heart rate monitor. You’re getting the best value for your money with the comfortable Monster iSport Super Slim running headphones. Working out and listening to music at the same time go hand in hand for many. This makes choosing the right pair of headphones to sport crucial. For runners, athletes and generally active people, choosing a pair of headphones that have the optimal sound quality, stay in place and are comfortable will make or break your workouts. No one wants to be interrupted by a pesky pair of earbuds, which is why we’ve chosen the best wireless headphones for running. We know that everyone has a preference, so all of our top picks range from true wireless to partial wireless headphones and earbuds. We’ve rated them based on how well they perform during a run or rigorous workout and what type of features they offer such as Alexa optimization. Before we jump into the buyer’s guide, check the final five best running headphones. If you’re an avid runner, these are the best wireless headphones you can buy. These partial wireless headphones will be your reliable companion during your longest runs and your most intense workouts. They fit perfectly in your ear and can be worn two different ways, depending on what you like. You don’t have to worry about your headphones getting damaged by sweat or even a sudden rainstorm, these earbuds are IPX7, the highest level of waterproofing for headphones. The sound quality is also pretty great compared to a lot of earbuds out on the market. Overall, we think you can’t go wrong with this high-quality running headphones. 8-hour battery life: You can enjoy up to eight hours of music. Comfortable fit in the ear: The earbuds are shaped to fit comfortably in your ear with a soft tip. Sturdy, durable build: These are made with materials to last long. Pricey: These headphones are a bit on the higher end of the price section. Not true wireless: If you want a true wireless headphone, the wire will bug you. 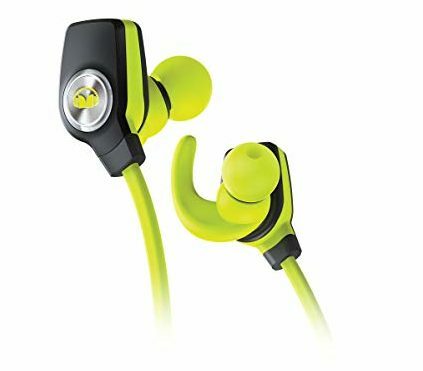 The Monster iSport made our best value category because of their quality and the outstanding price. These Monster headphones will withstand your toughest, sweatiest workouts with their secure fit that cushions your ear. Users say that the sound quality is great, especially for those who love to jam bass-filled tunes. 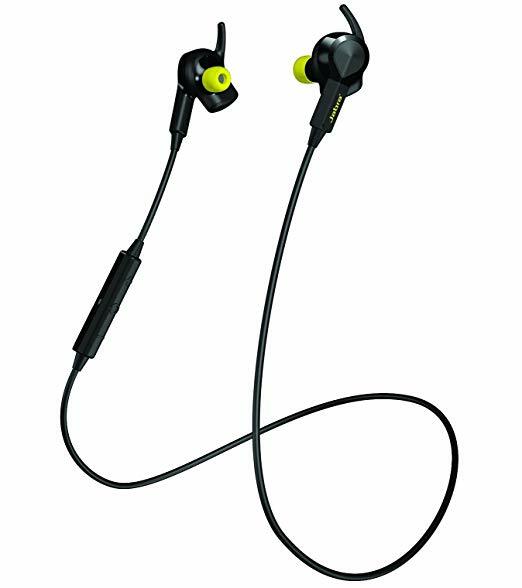 The Monster iSport Super Slim are partially wireless because the earbuds are joined by a tangle-free cord. The battery life is pretty decent compared to most models, and you’ll enjoy the noise cancellation feature if that’s your thing. Just make sure you’re aware of your surroundings before going out and running alone with these! Noise cancellation: Drown out the sounds around you, if you want. Great sound quality: Compared to most earbuds, the sound quality is pretty good. Washable: You can run these under water to rinse them post workout. It’s not the best sound quality if it isn’t a pair of headphones from the music giant Bose. 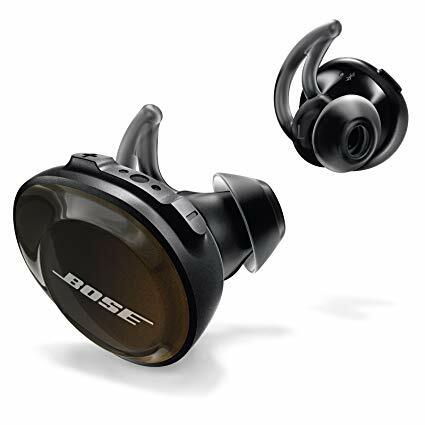 These Bose SoundSport headphones attempt to pack in everything you love about the big headphones and put into a compact earbud that is great for exercise. You can go for a run while listening to your favorite music, and the sound quality is truly unmatched when it comes to running headphones. We love the Bose SoundSport for its sound engineering and its seamless connectivity. The one area it may not shine in, however, is the design. Some may find the bulky protruding earbud a bit unattractive, but if you don’t care about appearance as much, then this shouldn’t be an issue. 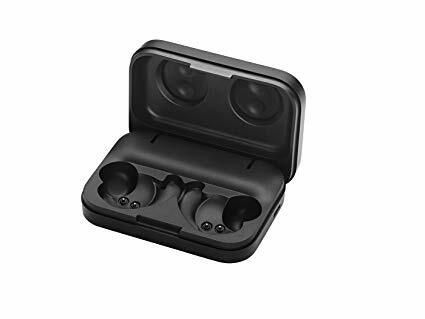 Lastly, these Bose SoundSports comes with a reliable charging case that can give you 2 more full charges, making the battery life extend to 15 hours. Try these sound giant headphones out if you want to drown out the world around you while you run. 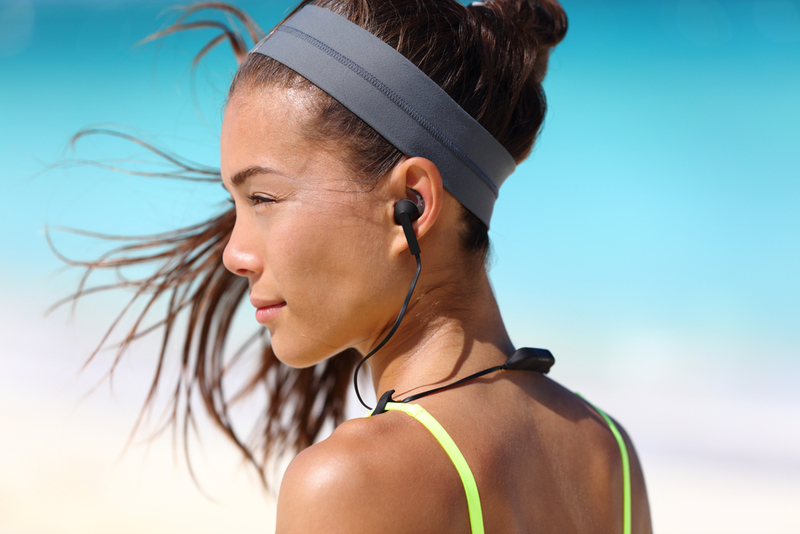 Impeccable sound quality: The best sound quality for running headphones on the market. Reliable battery life: You get up to 2 extra charges with the case, giving you 15-hour battery life. True wireless: Great for people who want completely wireless headphones. Unusual style: These don’t have the most attractive style, they protrude awkwardly from your ears. If you want a great pair of headphones with an accurate heart rate monitor a tracking app to go along with it, then the Jabra Elite Sport is a wonderful option. You’ll get the great sound quality and durable build that is usually offered by Jabra, plus the convenient technology of an HRM. While these are a great pair of earbuds for going on a run and keeping track of your heart rate, they only have about 4-hour battery life. The battery life could last you plenty of miles if you’re a marathon runner, but you’ll need to recharge them in the case to get more life out of them. Also if you’re more into the true wireless types of earbuds, then you may not love the wire that connects them. If this is the case, opt for the Jabra Elite Sport headphones which are slightly more expensive but come with the same great features sans wire. Controlled noise cancellation: A situational awareness mode that doesn’t completely drown out the sound. Good sound quality: Jabra Sport stacks up to the competition in the sound department. Shorter battery life: You get about 4 hours of battery life, making it the shortest on our list. 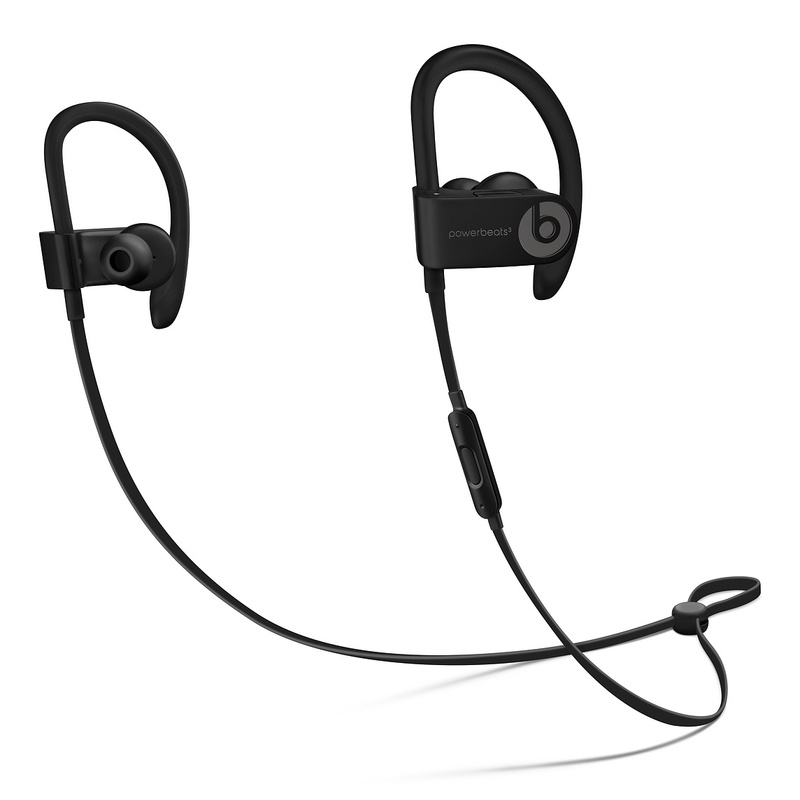 Apple purists and fans of the popular Beats by Dre brands will be delighted with the Powerbeats designed specifically for workouts and running. Although these trendy earbuds do well in their design, their bassy sound quality, and their comfort, you won’t find running headphones with longer battery life than these. The Powerbeats3 have an astounding 10-12 hours of battery life before you have to pop them in their case to charge. What’s even better? Should you run out, you can put them in the case for another 5 minutes to get an extra hour of playback time. This is unbeatable and comes in handy when going for long, extended runs or even hitting the gym after work. Even if you plan to use your running headphones for primarily running, it’s great to know that these will last you pretty much the entire day if you use them at other times. Astounding battery life: These earbuds can last the longest time, 10 hours, without needing to be plugged in. Bassy sound quality: You can literally feel the beat when you’re listening to these. A bit expensive: If you’re on a budget, then these may not be appealing to you. Not waterproof or resistant: Be careful when running outdoors, these headphones do not have any particular IPX rating. While the words headphones and earbuds are interchangeable nowadays, they technically refer to two different things. With the rise of technology, there are new versions of both headphones and earbuds coming out each day. So, how do you know which ones are best suited for a workout or for going for a run? We break down the differences between the two so you can know which one is right for you. 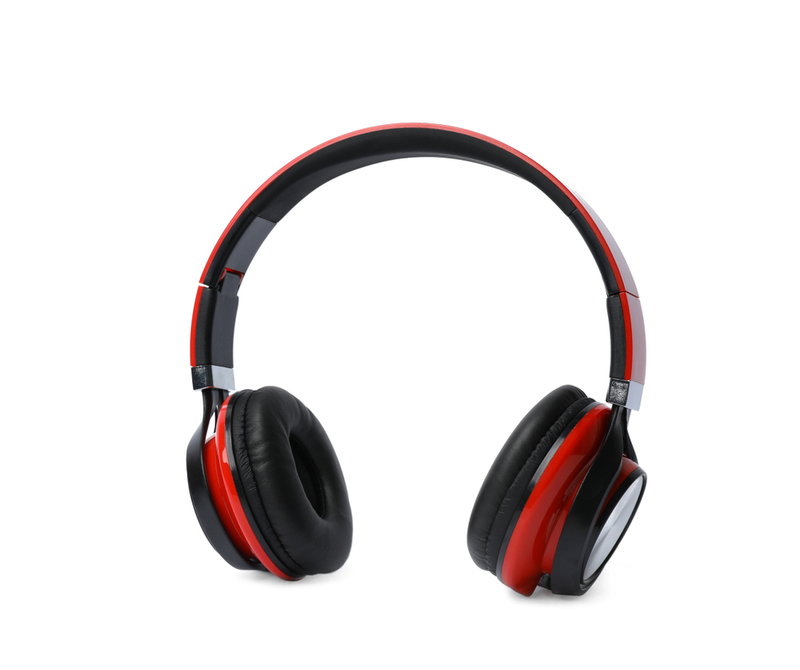 Headphones are traditionally the devices that cover your head and the outer ear. Think of these as the vintage headphones that emerged in the 70s that everyone wore. While other styles of headphones have debuted, these still hold a place in the music playback device world. There are two different kinds of headphones that you can buy. The supra-aural style and the circumaural style. The supra-aural are the ones that cover your ear and the circumaural are the ones that cover and seal the entire ear. Because of the shape of the ear, these types of headphones are typically great for noise-cancellation and deliver great sound quality. When it comes to exercise, however, avid trainers tend to go for other styles because of the stability issues. Headphones may be great for travel or listening while on your commute but for active lifestyles, you may choose a different style that will remain stable. A big pair of headphones on your head while running, jumping and doing other types of workouts isn’t exactly comfortable. Earbuds are what we refer to the ones that go into your ear canal. They tend to be smaller, lightweight and can be either wireless or wired. This style is most popular among runners and other athletes for their portability and weight. Nowadays it’s easy to find a model that will stay put in your ear after a rigorous workout. While earbuds are popular among most people, they do have some downsides to using them. Unless you opt for a high quality, expensive pair, it can be hard to find earbuds that have the superior sound quality, especially when it comes to the bass quality. It can also be tricky finding a pair that fits into your ear perfectly since every ear is shaped slightly differently. With earbuds, it helps to read online reviews like ours to see what people have to say about sound quality and comfort before you purchase them. Either way, if you choose earbuds you’re opting for a pair that will be easy to travel with, run with and do everyday activities with. These are definitely the more versatile choice out of headphones and earbuds. When it comes running headphones there are some non-negotiables, like fit and comfort and battery life. Other aspects are truly up to the runner, familiarize yourself with this list to know what to look for a new pair. The fit and comfort are the most important factors in choosing the best wireless headphones for running. Running headphones need to have a secure yet comfortable fit meaning they need to grip your ear but not hurt or irritate it. Not all ears are created equal and fortunately, there are tons of different designs you can choose from. Right after earbuds debuted on the market, there was heavy criticism for those who struggled to keep them secured in their ear. There was also criticism of the harder buds being uncomfortable and many people had to remove them after mere hours of use. Nowadays, it’s easy to find headphones and earbuds engineered to fit the mold of an ear with maximum comfort in mind. When it comes to wireless headphones, there are usually the two types of earbuds to choose from. The buds that go directly in your ear. If you choose these, then make sure that the bud fits comfortably, and if you have issues with pain, opt for a softer earbud. For a little more security while you’re running, opt for the shape that has the ear insert and the part that hooks around the outer part of your ear. This style is popular for runners because of the extra security and extra comfort it gives to your ear. The sound quality of the earphones you buy varies because not everyone needs Bose-level surround sound in their ears while running. In fact, most people just want to be able to have decent motivating music pumping in their ears to get them going. However, if you are someone who wants to use your headphones for more than just running and really appreciate sound quality, then this may be something you look into. Sound quality can make a difference for some, especially if you’re looking to escape the world while you’re working out. A lot of current wireless models have engineered noise-cancellation into their earbuds so you can drown out the sounds around you. If you’re someone who relies on these features to amplify your run or gym session, then headphones like the Bose SoundSport Free are a great option. On the other hand, pretty much all of the headphones we’ve reviewed fair decently well in the sound department. Will your Bluetooth headphones pair easily to your device? This is important as many people report Bluetooth pairing difficulties with many wireless headphones. Make sure to read the reviews of different models of headphones to choose a style that is easy to use. Here are some more key questions to keep in mind. Are they easy to charge? With wireless headphones, what you get with comfort and ease of use you lose with charging. As a runner, chances are you’ll have to charge your headphones even more than normal users. Many earphones come with a case that’s compact and USB chargeable. Are they easy to turn on/turn off? You should be able to quickly turn on and off your device, as well as speak and make calls if one interrupts your run. Can I use just one at a time? 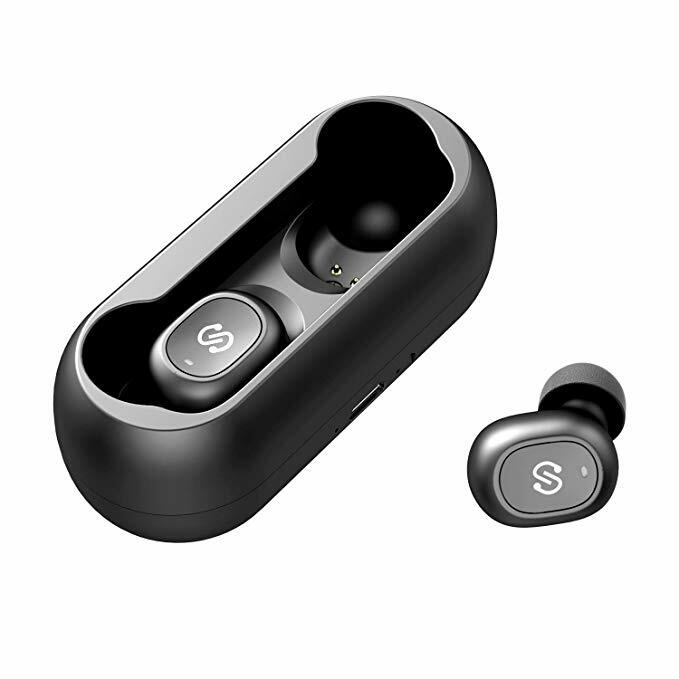 Some wireless buds have the one at a time feature that allows you to just have one earphone in and still function like there are two in. As mentioned above, battery life is especially important for runners and active people. You’ll probably be using your headphones twice as much as other people because of your daily life plus workout regimen. Battery life varies from headphone to headphone and it can range from 4 hours to 10 hours of play time. On earphones descriptions, you’ll see two types of battery life listed. The max amount of playtime you can get in one sitting and the additional hours you get from the charging case. Many models have up to 15 hours of playing time without having to plug them into a USB outlet. For example, some models may have 5 hours of playtime plus two additional charges in the case, extending it to 15 hours of playtime total. If you’re going to be running outside or doing any type of frequent exercise for that matter, you need a pair of wireless headphones that is either water resistant or waterproof. It’s very common to be on a nice run and end up caught in the rain, and if your earbuds aren’t at least some level of water resistant, you run the risk of ruining them forever. Even if you tend to run indoors or go to the gym, your sweat can cause damage or cause discomfort or slippage to your earbuds. You may see an “‘IPX” number when shopping for waterproof headphones. This is the official waterproof rating system that depicts the level of water resistance a product has. The IP rating or ingress protection number will let you know just how much water your product can hold, if you don’t see this rating then it isn’t waterproof. From IPX0 which is no protection at all to IPX7 which allows you to fully submerge in up to 3 ft of water. For Bluetooth headphones specifically, there are IPX8 products on the market yet since it wouldn’t be able to properly connect under water. IPX7- can emerge in water up to 3ft for 30 minutes. You should expect a good amount of warranty to come with your new pair of earbuds. These products tend to be expensive, especially when different smartphone features are included in the mix. As always, check with the manufacturer for what type of warranty is given (limited or full) and how long your products are covered. After covering all of the ins and outs of the best wireless headphones for running, we hope your decision is made a bit easier. Happy listening and happy running!